Fred L. Smith Jr. is president and founder of the Competitive Enterprise Institute, a free-market public policy group established in 1984. Mr. Smith combines intellectual and strategic analysis of complex policy issues ranging from the environment to corporate governance with an informative and entertaining presentation style. Well-known in academic and professional circles, Mr. Smith is a popular speaker at universities and conferences around the world. Mr. Smith is also a frequent guest on national television and radio programs to discuss and debate regulatory initiatives and topical policy issues. Providing both analytical and political insights, he has appeared on CNN's Crossfire, PBS s News Hour with Jim Lehrer and Now with Bill Moyers, ABC's 20/20 and This Week, NPR's Talk of the Nation and The Diane Rehm Show, and The G. Gordon Liddy Show, among many others. A prolific writer, Mr. Smith s works have been published in leading newspapers and magazines such as The Wall Street Journal, National Review, Economic Affairs, and the Washington Times. His academic articles have appeared in journals such as Harvard Journal of Law and Economics, CATO Journal and Economic Affairs, and he is a contributing editor to Liberty magazine. Mr. Smith is co-editor of Environmental Politics: Public Costs, Private Rewards and the Field Guide for Effective Communication. 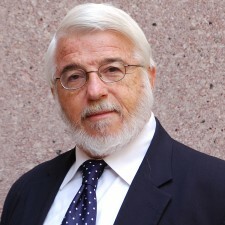 He has also contributed chapters to more than a dozen books, including Global Warming and Other Eco-Myths, True State of the Planet, Corporate Aftershock: The Public Policy Lessons from the Collapse of Enron and Other Major Corporations, Solutions for an Environment in Peril, Market Liberalism: A Paradigm for the 21st Century, and Assessing the Reagan Years. Before founding CEI, Mr. Smith served as director of government relations for the Council for a Competitive Economy, as a senior economist for the Association of American Railroads, and for five years as a senior policy analyst at the Environmental Protection Agency. He is currently a member of the Institute Turgot in Belgium. Mr. Smith holds a B.S. degree in theoretical mathematics and political science from Tulane University, where he earned the Arts and Sciences Medal (Tulane s highest academic award) and was elected to Phi Beta Kappa. He has also done graduate work in mathematics and applied mathematical economics at Harvard, SUNY at Buffalo, and the University of Pennsylvania. He is married to Frances (Bivona) Smith.